The luminaries will bond in the sign of Sagittarius on Friday December 7th 2018 at 15º07′ of the sign. The new moon is a potent time of collected energy, and this month that energy culminates in the Sagittarius., the zodiac sign of wide open plains, foreign places and distant lands. Sun, Moon and Jupiter are present in this fire sign, with Sol and Lune meeting at 15º Sagittarius, clashing with Mars and Neptune at 13º of a fellow mutable sign, Pisces (reminiscent of the full moon in Gemini two weeks ago). The points of the horoscope that do align on this new moon are Mercury, Chiron, and the north node, all in the water element. We’ve Mercury at 27º of Scorpio, Chiron (Retrograde) at 27º Pisces, and the north node in Cancer at 27º. Venus, Mars and Neptune too are in water signs, while Saturn and Pluto are very widely aligned from earthy Capricorn. It shows that the new moon is somewhat isolated, outside the emotional realms; that our passions, plans and focus are seperate to the stories already in play. The wider world is beckoning but not so fast Aries! There’s closure coming in the deepest corners, as the dreamy realms are stirred during this new moon. With your ruler Mars in your zone of secrets and privacy, you might feel like you need to retire into a quiet spot to meditate, and yet the new moon is expanding your horizons! This conflict in the stars will no doubt be confusing, but you can navigate with care. Focus on experiences that are promising to take you further, the quests that are now open to you, nudging ahead into next year. Set intentions for the adventure you hope to go on. Meanwhile gain a sense of stability through partners that have stood loyal and true, elevating your connection. Visualise how you’ll go the distance, but go easy sweet love. The new moon in Sagittarius asks you to renew your vows, to commit to a special venture that involves another, to invest in partnership and the bond you share. However with so many planets and points of the horoscope in water your sociable side is now stimulated, Taurus, asking you to tend to community activities or interests that bring you closer to a group of individuals – or your inner circle. 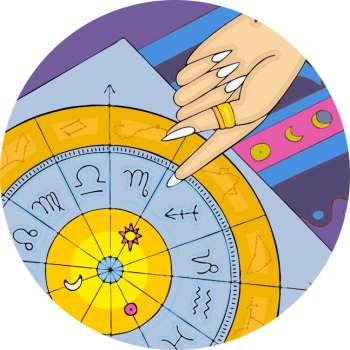 You’re playing catch up in relationships, as Venus in Scorpio moves through the area of your horoscope governing one-to-ones; you might be inclined to enjoy what you have just a little longer before signing on the dotted line. On this new moon the stars are affirming primary relationships, Gemini, connections shared with individuals – partners at work or at home, the people you encounter in some special interaction. You can begin again, and yet your professional life is also gleaning much attention. You could now be reaching for your goals and aspirations, as Mars and Neptune meet in a powerful union in the skies. This takes place in the area of notoriety, fame and career success, so you might now have a glamorous opportunity to be seen! Another possibility is that there’s confusion or delusion around your future path, and this could be mighty unsettling. Don’t force yourself now, simply let yourself settle down and rely on others to get you through. As the moon is your governing body in astrology new moons are potent times for you Cancer, giving you maximum opportunity to focus on your dreams and aspirations. However at this new moon it’s more difficult to focus, with Mars steaming ahead in fellow water sign Pisces. You could now be on a mission, or venture that’s captivating you and your energy, making it hard to focus on the necessary work tasks, or your health and wellbeing. And yet this is the best time of the year to glean a fresh start for your daily rituals and tasks. Leo can see a concentration of energy around personal passions now, with Jupiter moving into the most playful, romantic and amorous area of the horoscope. There’s a new beginning for your sense of enjoyment, so raise your vibration and have fun, Leo! There’s a fresh start in your space or surroundings, Virgo, which could point to a new sense of home, a focus on family and your lineage, or a spring clean to brighten up the corners of your emotional closet. You could be feeling the need to nest or incubate, return to childhood (or call your mother) or simply feel like feeding yourself, taking better care of you and those around you. Spirited Mars meets confusing Neptune in your partnerships zone, which means that if you try and express a more sentimental outlook you might be faced with a foggy nothingness – relationships are a little amiss now so don’t have crazy expectations of how others should react. Focus on your own sense of family and how you want to explore home. New connections can be made, with friends in your local neighbourhood waiting to know you, and special ties seeding now, Libra. It’s a season to reach out and speak to others, improving your communication skills and common bonds. Think co-workers, peer relations, sibling ties and those in your inner circle. You can also reconnect with school friends now. A busy schedule is the only thing stopping you, as work or regular commitments could get in the way of your ability to show willing. There may be a fresh start for your income or role in the works, Scorpio, as the moon renews in your money and earnings sector. It might be that you’re enthusiastic about saving, or are about to experience a boost in your position! However your personal passions are also lit right now, as Mars and Neptune unite in the most amorous area of your horoscope, ready to ignite your romantic nature and distract you from the day-job. It could be hard balancing your own interests and the more practical side of life, yet affirm what it is you want to do to gain maximum confidence in your abilities. Yet with Mars and Neptune bonded together in your home and nesting zone you could be nostalgic, needing extra comfort and family time, which proves distracting. Rest, nest and focus on yourself in private, but still focus on what’s coming up! It’s an awesome time to focus on what needs to heal, Capricorn, as the new moon guides your attention inward to transitions and work behind the scenes. It’s likely a time you need to pull back and go off the radar, as moon and sun gather in your closure zone. It’s the very best time of the year to think about quitting substances that you’re through with – from caffeine in all its forms to smoking or hitting the bottle. And yet this is a sociable time when friends are a-knocking. Perhaps there’s some activity around close kindred spirits, siblings or your inner circle that teases you out of hibernation – perhaps your community wants you to connect! Strike a balance between engaging and giving yourself the space you need. Your connection to those in your clan is important now, Aquarius, as your network of peers comes into focus – perhaps with people from further afield are in the mix, too. You can set intentions around the people in wider circles you want to associate with, and dream of how you might make a difference in the world with your tribe on your side. Mars and Neptune are working their way through the practical, money-making zone of your horoscope, and so taking action at work, pressing ahead with enthusiasm could be distracting at this time. You’re no doubt making waves in your position, thriving and succeeding, but perhaps at the expense of your crew. Balance friendships with the tasks that need to be tackled. The new moon points your gaze upward, to your potential path and the rising star you can follow – it’s your year and season for success, Pisces! The planets huddled together in Sagittarius guide your goals and ambitions, as you enjoy notoriety, a little fame and space to expand professionally or publicly. Yet with Mars together with Neptune in your sign the goal posts are blurry. You’re full of enthusiasm but your energy could be heightened or dissipated, as you try to pin-point which way to go. Mercury is now direct in your knowledge sector, so think back to the lessons you’ve learned this year and have faith in your journey. What to do With The New Moon in Sagittarius? Plus, check out my recommendations! Sagittarius is the ninth sign of the zodiac, and shoots its arrows upwards and outwards with great optimism. This is a time to look further afield and to plan. Jupiter in Sagittarius is imbuing us with great fortune – Jupiter is the planet of growth and expansion, so whatever’s in your midst at this new moon is likely to have some great potential. Focus. Sagittarius is the nomadic wanderer, always venturing further afield in the pursuit of excitement and new horizons. With this new moon you can stand powerfully in your vision, ready to stride out and beyond. Stand tall, poised, ready to navigate any terrain in the pursuit of your venture. Burn bright with a touch of color, and add a touch of another culture to your look, showing you’re open to experiences coming your way. 4. Have A Sports Massage! Soothe away tensions or springs wound too tight with a super duper full body massage, and if you can’t manage that then simply have a steam sauna to honour Mars and Neptune in Pisces. There’s no better time than when planets are clustered together in Sag to try something new and glorious – particularly when it has the appeal of far off lands… Try lotions and potions that are a little more exotic than the norm, and transport yourself.